From left: K. Clutter, D. Szmergalski, and B. Walker with their parents before the meet (A. Landman). Sporting their black senior shirts, the Huntley High School senior girls varsity bowlers were recognized as they took on the Wauconda Bulldogs in their last home meet of the season. Despite this being the career finale for Kaytlen Clutter, Dani Szmergalski, and Bry Walker, the Raiders fell 2,558 to 2,983. The three seniors were given roses and escorted by their parents at the beginning of the meet and their posters lined the wall of Bowl-Hi Lanes in Huntley, Illinois. Head coach Kim Feckete wanted to ensure her seniors went out in style, so cake and refreshments were served. Despite the black and red decorations, Raider Nation chants, and enthusiasm from the crowd, the Raiders could not pull out a win. Wauconda’s Jasmine McKeel scored 686 points on her own, outscoring the Raiders’ highest scorer by 176 points. 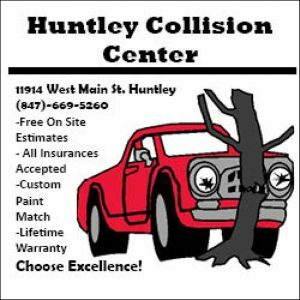 Junior Mary Boffa was Huntley’s highest scorer with 510 points, including a turkey. Boffa was followed by Clutter and Szmergalski with 504 and 431 points, respectively. In between her games, Walker would run up to Raider Nation and teach them chants specific to bowling. Between the chants, rolling balls, claps, and dropping pins, Bowl-Hi was quite the scene on this dreary Tuesday afternoon. According to Feckete, this was the first time that the last home meet took place in early January. Normally, it is at the end of the month, so everything seemed a bit rushed. None of the seniors plan to bowl at the collegiate level, however, they are not ready to put away their bowling balls just yet. The Raiders next take on McHenry on Jan. 11 at Raymond’s Bowl. However, they have their sights set on the future and are preparing for the IHSA Regionals, which take place Feb. 3 in at Liberty Lanes in Carpentersville.